What an outstanding film!!! I so love to see such kind of Indian film which gives me Hollywood type ki feel & that can be possible only in south Indian film industry. Pre-interval shaayad film slow/lambi lag sakti hai par interval ke baad jo speed aur engagement pakdti hai, Woah super awesome. Legendary Sathyaraj sir aka Kattappa, Ramya Krishnan, Rana & my super fav Prabhas ka performance top notch hai. Special effects ma pura paisa vasool chhe boss.may be animation no overdose pan laagshe but Technically aaj sudhi Indian film industry ma aavi ad-bhut film main nathi joi atli brilliant chhe. Akkal kaam na kare aetli mast movie chhe, Hollywood standard sathe match kare aevi epic film Baahubali no climax tamne curious kari mukshe. 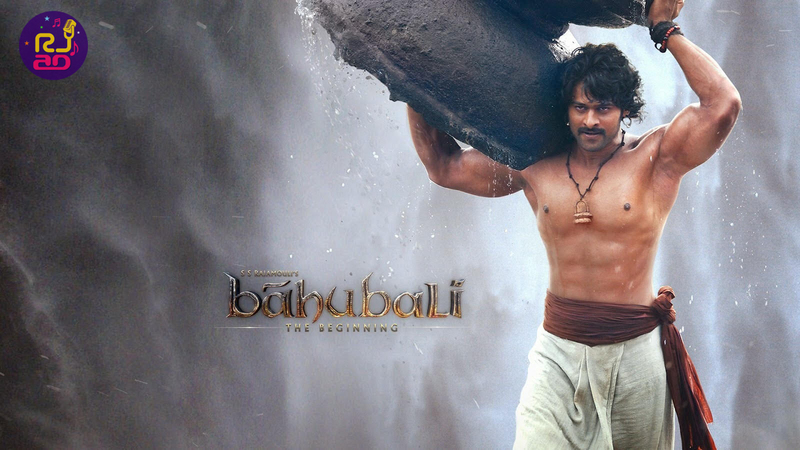 I can’t wait for Baahubali‘s sequence anymore which gonna release in 2016. Paakka Paayani Boomo ane sitio padi chhe multiplex maa… Must watch film. Yes, Perfect review rj aditi i am agree with you must watch this movie of india amazingly directed and story was amazing and the actor prabhash (hero of film) do superb job. Te atala badha vakhan karya etale have to jovu j padse…!!! Excellent review and similar feelings I too had after watching this film. By the way “Baahubali – The Conclusion” will be targeted to release on 8th july 2016 (right after this film’s release).. fyi. 🙂 Cheers! I mean right after 1 year of this film’s release. Hu movie nathi joto….i like only moj….